We were asked to design invitations for a wedding. This lead to a table plan design, then a few posters. We came to the conclusion to brand the entire wedding. The lovely couple was getting married on their 10th year together. We decided to use this as our theme and celebrate when they first met. We started with a colour palette. 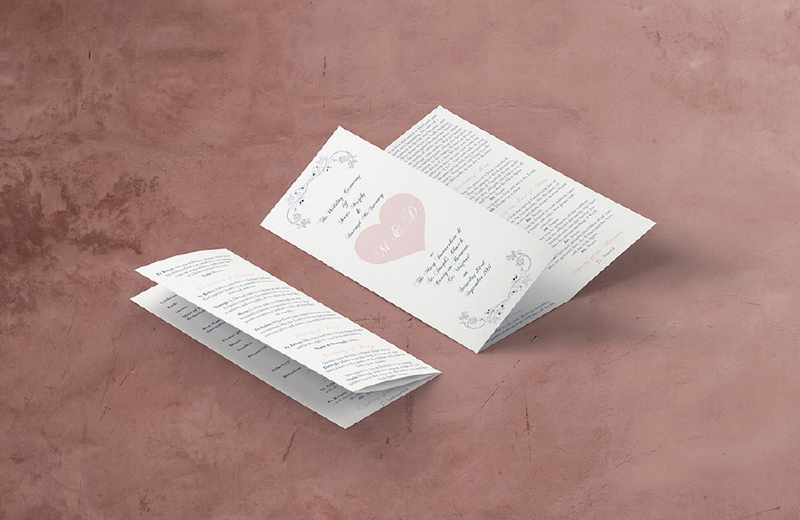 Then ran the simple design and colour across everything from table seating to bathroom signs, wedding invites and mass booklets. Our table plan was broken into Firsts to celebrate 10 years of being together. First holiday, First kiss, First date etc. We even had a little tagline and a symbol to run across all our designs. Consistence was the key for this design to get noticed and make a statement. Getting married? Make it pretty with The Design Girls! The Design Girls © 2018 All Right Reserved | Company Reg: 608654 | The Design Girls, Coolcotts Court, Wexford, IRE.